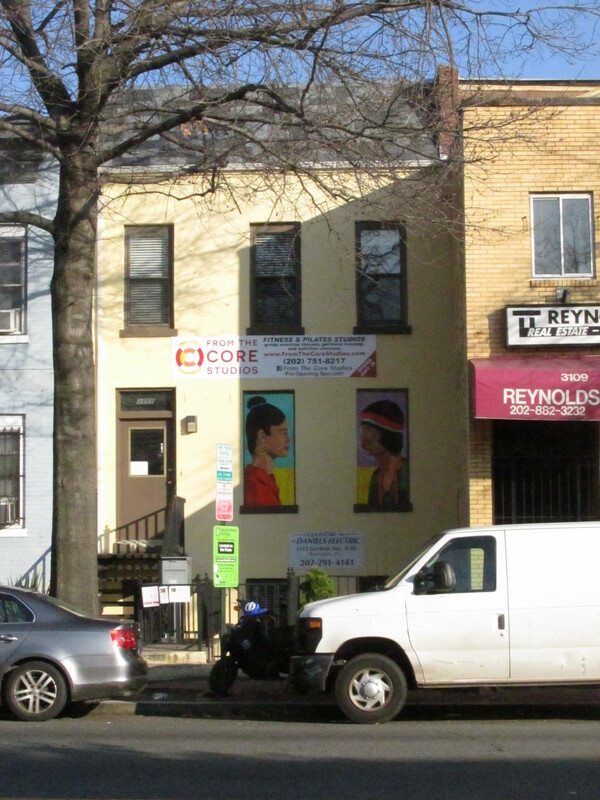 Checking In on From the Core Studios | Park View, D.C.
From the Core Studios opened back at the end of October, 2014, and I was finally able to check it out. From the Core Studios is located at 3111 Georgia Avenue, which is between Irving and Kenyon. In walking around the space, I thought they were set up well. I can’t imagine that this fitness space won’t become popular as there isn’t another fitness space like it nearby (though there is Yoga Heights several blocks to the north which is a good compliment). According to their Website, From the Core Studios describes itself as a fitness boutique focusing exclusively on providing group exercise classes, as well as personal training. They provide top quality fitness classes for people who are enthusiastic for fitness classes, and they want to improve the lives of people and communities through group exercise and personal training. I’d like to hear from anyone who has joined From the Core Studios or exercised there. What do you think? Exercise space at From the Core Studios. This entry was posted on December 23, 2014 at 7:01 am and is filed under Small Businesses. You can subscribe via RSS 2.0 feed to this post's comments. I’ve taken the pilates reformer classes there and it’s top quality! I hope more people are able to take classes there because it always seems a little empty when I’m there. They offer a lot of interesting classes, something for everyone and she seems to run some deals occasionally, so hopefully it catches on! Could not be more convenient…thrilled to support local business! I have been taking classes here since they opened up. I love the reformer class, which always is a great workout, and have now fallen in love with Eva’s barre class on Tuesday mornings. This is a great addition to the neighborhood and I hope that others recognize it too! I’ve taken several classes upstairs and downstairs. Each class has been wonderful. The barre classes are challenging. The boxing classes leave my muscles feeling like rubber! I took a pilates mat last weekend, and my abs still feel it! And I’ve taken several pilates reformer classes, and I feel like I am more challenged taking it there than anyplace else! It’s a gem in the neighborhood and I really hope people start coming- we need to support local businesses like this one, especially because as Kent pointed out, there’s nothing like this out here, and it is something that is really needed. They have some great sales right now- that’s how I got started there! People should take advantage now before the sales end. The studio is fabulous. Hard to find equipment, good instruction and reasonable prices. I highly recommend it. Great addition to the neighborhood. I finally took a class and agree with all above! The reformer class was excellent! The studio is often empty…I really hope it catches on. Love the addition to the neighborhood.